Below is a list of the questions we get asked most often with corresponding answers. If you have a question you think should be answered here please send us an email and we’ll look to add your suggestion to the list. Well, there’s a question that we certainly know a bit about – hence our name! Rather than go into detail here we suggest you check out our Best Buys here. 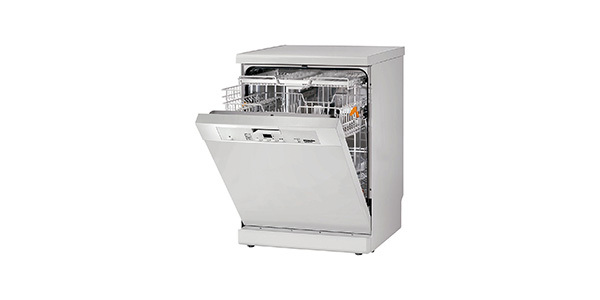 From that page you can select the type of dishwasher you’re looking for ie freestanding, integrated, slimline etc and see our recommendations in each category. 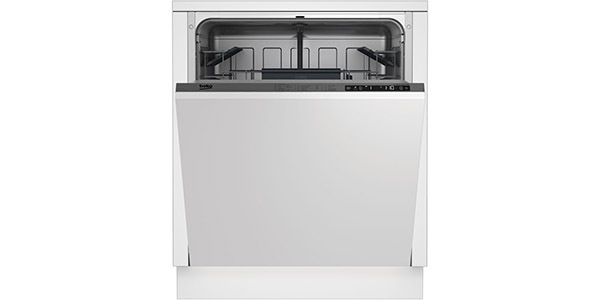 What is the best integrated dishwasher? You can find our top picks here. Any one of these machines will be a great buy in our humble opinion. What is the best slimline dishwasher? You can find our top recommendations here. If you’re looking for an ‘integrated’ slimline machine try here instead. 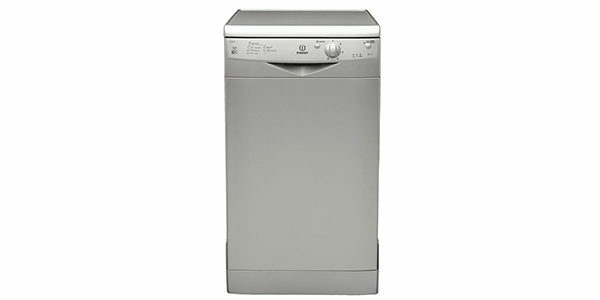 What is the quietest dishwasher? As a general rule the quietest dishwasher you will find will have a noise level of a little over 40dB, which is similar to the sound of a whisper (pretty quiet we think you’ll agree). Although we can’t guarantee it’s the quietest on the market you should certainly take a look at this machine, the Whirlpool ADP8693APC6SWH as it is one of our Best Buys and has a sound level of only 42dB. Read our review here. 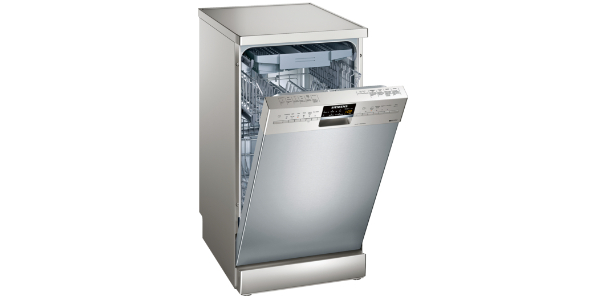 You can find more info about dishwasher noise levels in our Buying Guide here. Which dishwasher cleans the best? This is a really tricky question to answer as most current models from respectable brands like Hotpoint, Bosch, Indesit etc clean very well indeed as long as you stack the dishes correctly, clean the filter regularly etc (read more in our Buying Guide here under the heading ‘Performance’). To say which machine cleans the very best is kind of impossible as it depends what you’re washing and what programme you are using. If you take a bunch of heavily soiled items such as lasagne tins and stick them in a £2,000 Miele on a cool cycle, chances are they won’t come out clean. Put them in the same machine on an intensive wash and they should come out looking like new. We would say, if you want to get the very best cleaning (and money is no object) go for the top of the range machines from Miele or Bosch. If you’d like to avoid the kind of open-wallet surgery that that will involve try checking out some of our Best Buy dishwashers here. All of these come highly recommended by us and have loads of positive feedback from previous buyers. Which is the best dishwasher brand? This is a tough question to answer as there are many well-known brands who make dishwashers, and most of them are pretty good. If you’re looking for a really top-of-the-range machine you may want to look at Miele as their products are generally regarded as excellent (but sometimes eye-wateringly expensive). Their priciest integrated machine will currently set you back a shade under £2,300, for which you could probably buy a half-decent car. We would pretty much always recommend Bosch as they produce consistently excellent products, sometimes even at fairly budget prices. Having said that though we also recommend Beko (great products, very reasonable prices), Zanussi, Smeg, Hotpoint, Indesit, Whirpool and quite a few others as all make decent machines. You may just need to do a little more research to make sure you’re getting a model that previous buyers rave about. 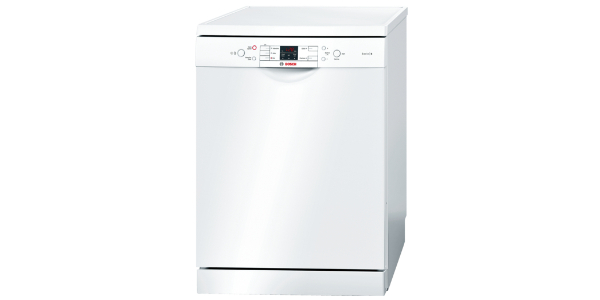 Just check out some of our dishwasher reviews here or browse our Best Buys and you should quickly find some inspiration and some potential options that meet your needs. How do you fit a dishwasher? This very much depends on whether you are replacing an existing unit (fairly easy) or installing a dishwasher for the first time (not so easy). If you’re replacing an existing installation all you really need to do is unplug everything and remove the old unit then fit the new one to the exiting pipework. If however, you’ve never had a dishwasher before you’ll need to run new pipes from your existing plumbing and most people would look to a professional to do this for them. You can find more info in our Buying Guide here under the heading ‘Installation’. If you fancy giving it a go yourself take a look at the video below to give you an idea of what’s involved. 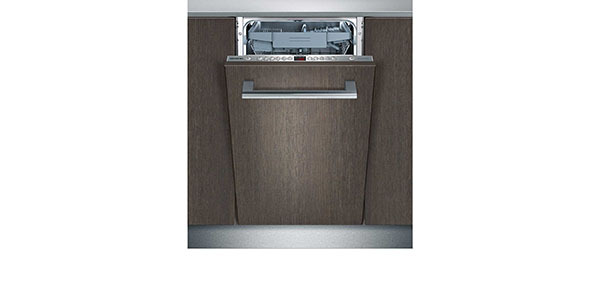 How do you fit an integrated dishwasher? Installing an integrated dishwasher is basically the exact same process as installing a freestanding model. Please see the FAQ above for more info. The only step that is different really is attaching the fascia panel to the door of the unit and making sure the door is flush with your other units. Please see the video below for an explanation of how to both remove a dishwasher door (if, for example, you’re replacing and existing appliance) and how to fit one. If you’re planning on giving the installation a go yourself this should give you a good idea of what is involved. 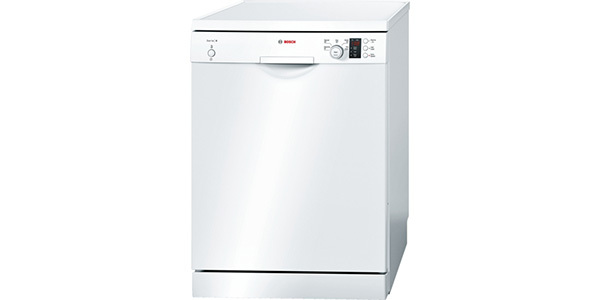 Dishwashers vary in price from (currently) £185 for a slimline Beko model to almost £2,300 for a top of the range built in Miele. You can buy a very decent standard-sized machine for about £250 and a slimline one for a little less than that. Integrated appliances generally cost slightly more so you’d be looking closer to £300 for a standard machine and, maybe £250 for a slimline integrated model. My dishes are coming out with a dry powder on them. I’ve cleaned the dishwasher, salt dispensar is fine, so is the rinse aid. Could this indicate a blockage some where? If so, how can I fix it?